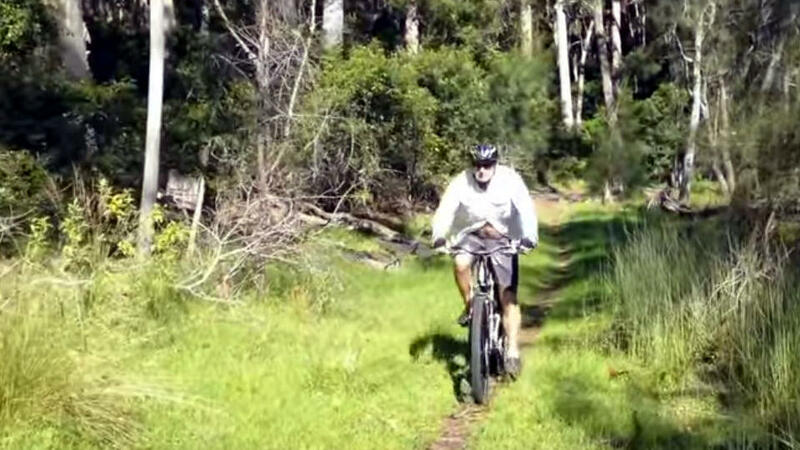 Mountain bike riding is very popular around Depot Beach and Durras Lake. The ride to North Durras is 2 km on a reasonably flat bitumen road. You can visit the local store in the North Durras Camping area for a coffee or a hamburger, hire the tennis court and rackets at Joalah Holiday Park or hire canoes and life jackets for the lake. A well defined track, easy to medium grade. The track starts at a small car park on Mt. Agony Rd about 2 kms east of the highway. There is a small stand of Sydney blue gums near the beginning of the track, which soon leads to the shore of Durras Lake. The track stays close to the shore of the Lake except for one stretch that goes over a small hill to bypass a long peninsula into the Lake. There are views of the Lake with its abundance of bird life. You may see a lyrebird, wallaby or kangaroo. 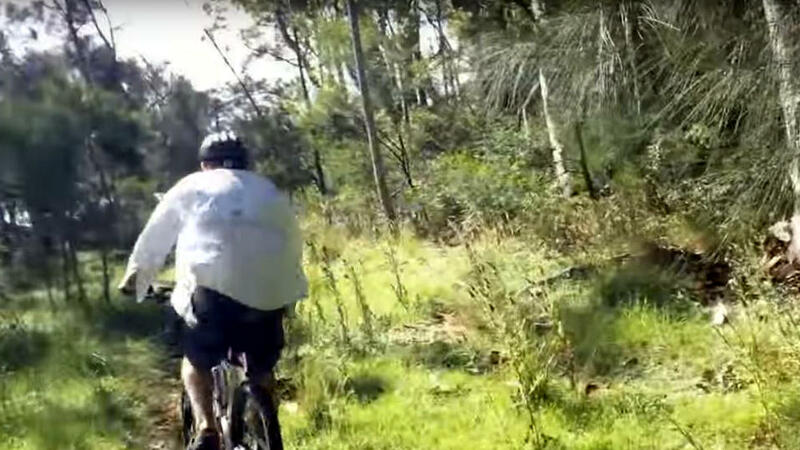 The trail takes you through varying ecosystems, from towering spotted gums with a burrawang under story to casuarinas along the Lake with a grassy floor then into rainforest with giant cabbage palms. Towards the end, the track joins The Discovery Trail. You cannot ride this trail, as it is a narrow walking track with stairs. Alternatively you can start the ride at the car park at the beginning of the Discovery Trail. To get to the Discovery Trail car park from Depot Beach Cottages, follow the Depot Beach Road to the intersection of Mt. Agony Road and turn right. Follow this for 200 m until you get to the sweeping bend before the first steep hill. On the left is a dirt road sign-posted "Lake Road - to Discovery Trail". It is approx. 1 km to the lake on this flat dirt road. 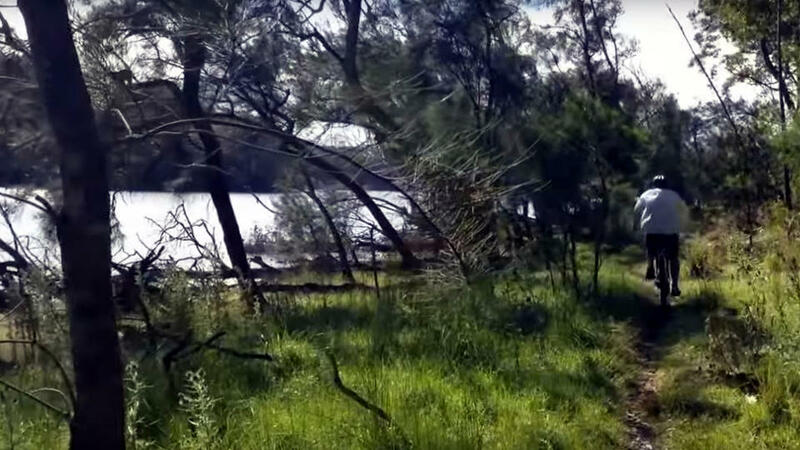 The forest trails are well formed and the scenery takes you through rainforest, giant spotted gums and casuarinas along the lake. 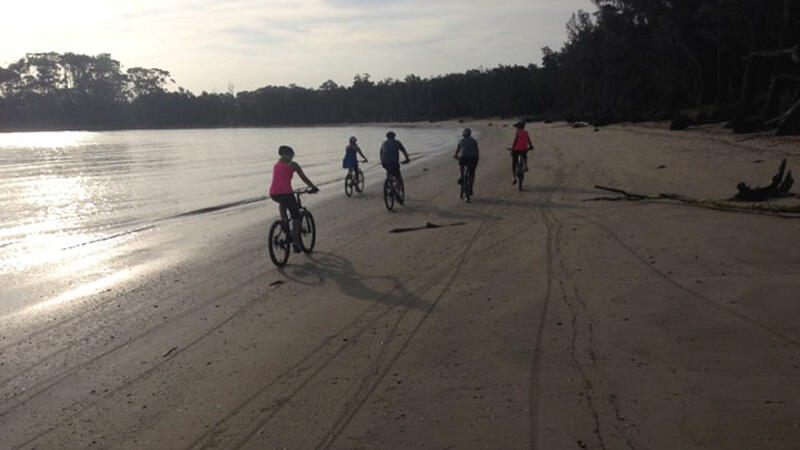 For the more adventurous you can ride up Durras Mountain and see stunning coastline views, then continue down to Pretty Beach and Pebbly beach. This will take you most of the day. Along the way you will see many of the bush critters - lyrebirds, kangaroos, wallabies, goannas, echidnas and an abundance of bird life.